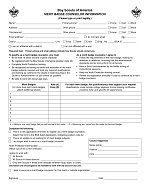 Complete a BSA Adult Leader Application with a position of "042" or “Merit Badge Counselor” identified and a Merit Badge Counselor Form with your contact information including email address and the enlisted merit badges identified submitting both to the Southeast Council Service Center at the address in the footer below. 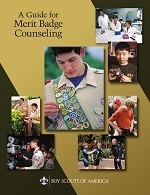 Below is the BSA Guide for Merit Badge Counseling for your reference. Complete an online refresher Youth Protection Training with the Boy Scouts of America every two years. 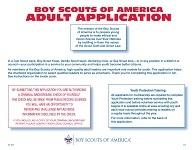 If you have not yet submitted a Boy Scout Leader Application registering you in the position as a Merit Badge Counselor then Complete a Boy Scout Adult Leader Application Form with Position "042" or "Merit Badge Counselor" identified. Complete an updated Merit Badge Counselor Infromation Form with your current contact information including email address and enlisted merit badges identified. Submit the Boy Scout Leader Application and Merit Badge Counselor Information Form to your District Advancement Chair or to the Southeast Council Service Center at the address in the footer below. If an application is submitted and your name does not appear on the Merit Badge List within 30 days, please feel free to contact David Leroux, Council Advancement Chairman.